Experience Halifax from a different perspective. 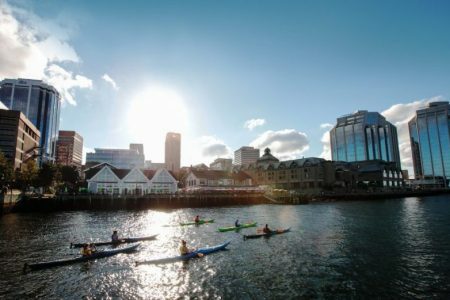 Kayak Halifax is conveniently located on Sands at Salter on the vibrant Halifax Waterfront, @ 1521 Lower Water Street, Halifax, Nova Scotia. 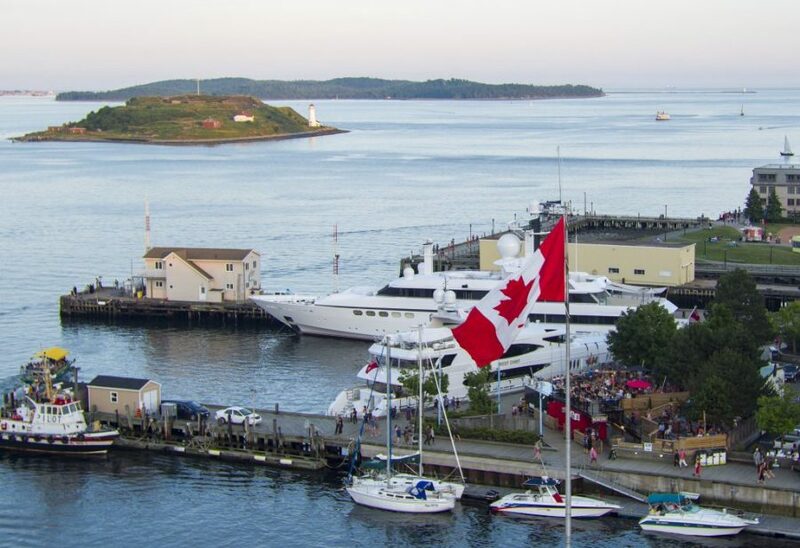 Your next adventure awaits a stone’s throw from downtown Halifax attractions, restaurants, hotels & the cruise ship terminal. 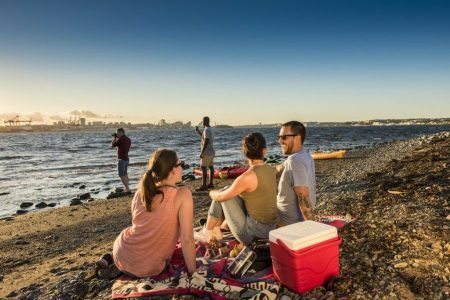 Join the Kayak Halifax Team for an authentic East Coast experience on a 2 hour Exploratour, a full day or overnight island adventure. Discover & explore the second largest natural harbour on the planet & our wild islands. Enjoy marine life encounters, coastal hikes & beautiful beaches, island ecotours, culinary & glamping adventures. Our adventures are fun, packed with moments of Zen & adrenaline, interesting facts & folklore and we travel at a comfortable pace.​ Perfect for students, couples, families (Age 5+), tour groups & corporate team-building. 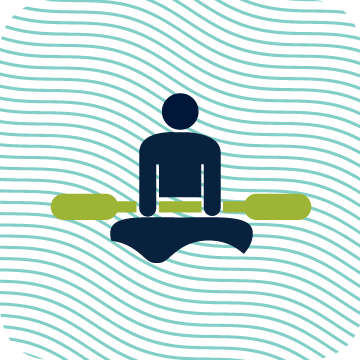 Your Atlantic Ocean-Halifax Harbour paddle requires no previous kayaking experience and anyone with a moderate fitness level may easily enjoy. We are also happy to customize private tours or just take you out for a paddle, shoot the breeze & share a taste of the East Coast lifestyle. To have as much fun as our guides, remember to pack a sense of adventure & sense of humour! Safety is always our first priority. Ocean-worthy kayaks, pfds, paddling instruction, safety gear and briefing provided. Our qualified guides are CPR and First Aid-certified. Guides carry VHF radios and communicate with Halifax Harbour Traffic Command Centre. We are proud to offer our customers high-quality touring kayaks (sometimes called sea or ocean kayaks), in single or double occupancy. Capsizes are very rare. Dress in layers. Windbreaker. Waterproof Jacket. (especially for May, October tours), Quick dry shirt/shorts. Pack your Go Pro. We have dry bags for your cell phone and cameras. 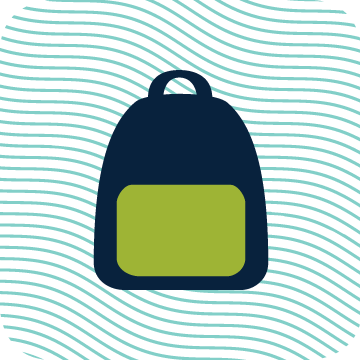 Personal items may be safely stored with you onboard or left with our team. We are conveniently located walking distance from downtown hotels, restaurants and attractions. If driving, parking is available at the Salter Lot @ 1521 Lower Water St. If the weather presents unsafe conditions, we will halt tours until it is safe again. 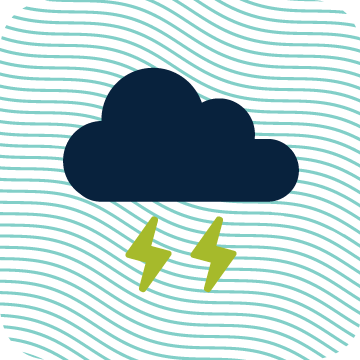 No boats may launch if there is lightning, thunder, or if fog is too dense to clearly see the shore. Please check our NEWS or call us if you’re unsure. 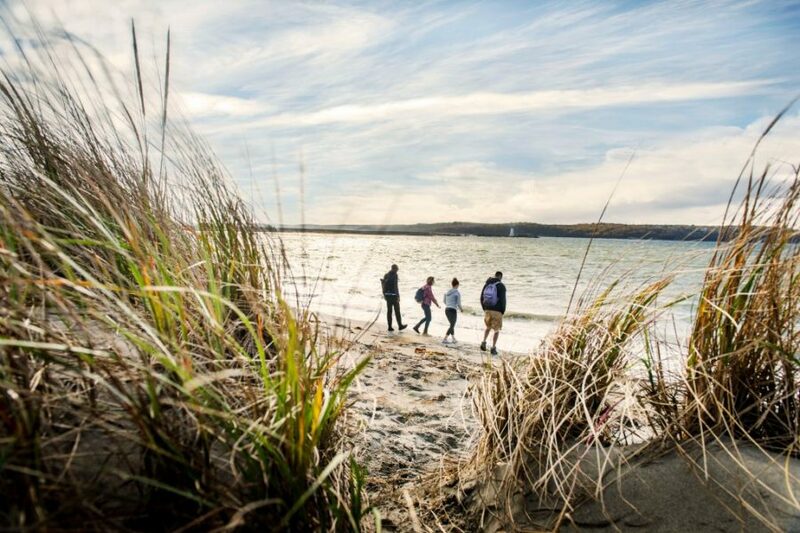 You can find us on the Sands at Salter, a new urban beach area on the Halifax waterfront at the foot of Salter Street and Lower Water Street. Our professional and experienced guides are trained in: emergency rescue procedures, pre-trip briefing, communication and ethics, navigation, wildlife, local history, eco-friendly island use and more. Your safety is our priority. 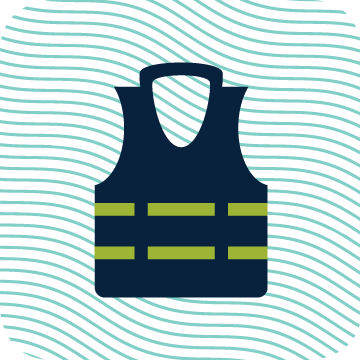 Our guides are First Aid and CPR-certified. 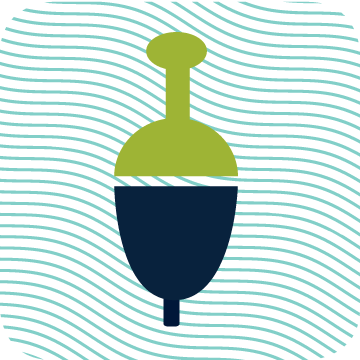 Guide gratuities are always appreciatively accepted. 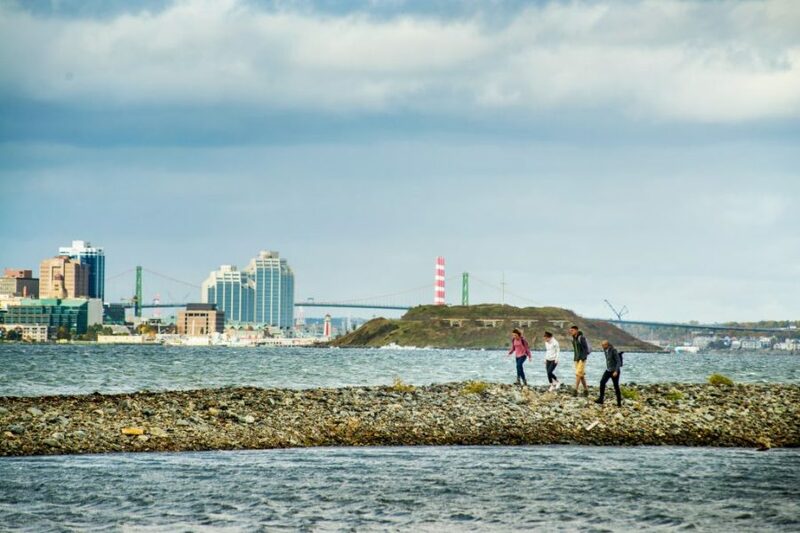 "For what it costs, it's the best tour of the harbour and Georges Island. Really loved it!" David M.
"Loved every minute of tonight's Sunset Tour of Downtown and Georges Island. Kayaks were top-notch, as was the company and guide." Simon C.
I can attest to this as an awesome experience. Great scenery, and a humble guide." Griffin L.
Had an amazing time. Thanks to our guide for such a great experience!" Nina-Lee A. 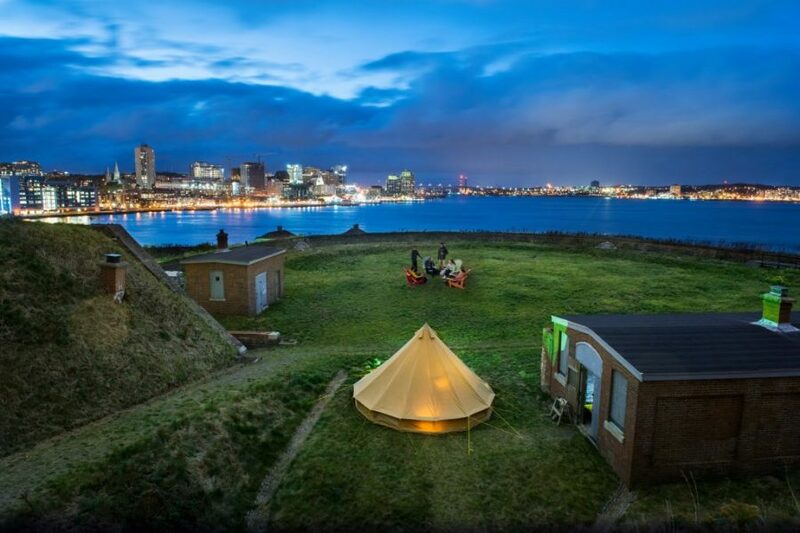 "Experiencing Halifax from the water was awesome – the highlight of my trip. Eric was a fantastic guide. 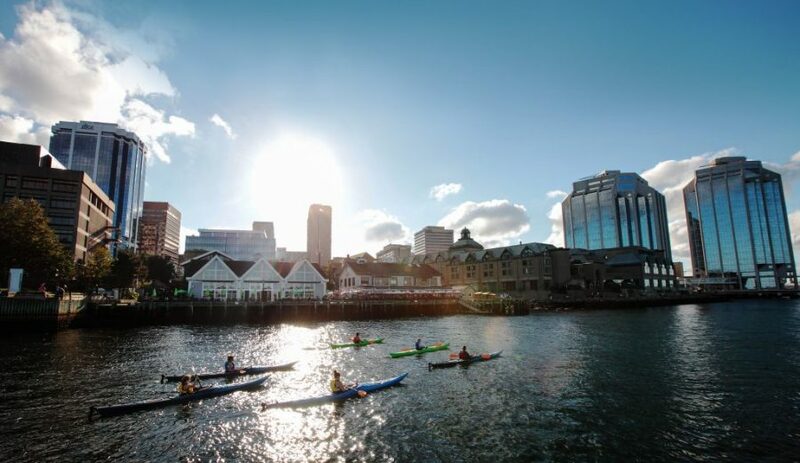 I highly recommend Kayak Halifax." 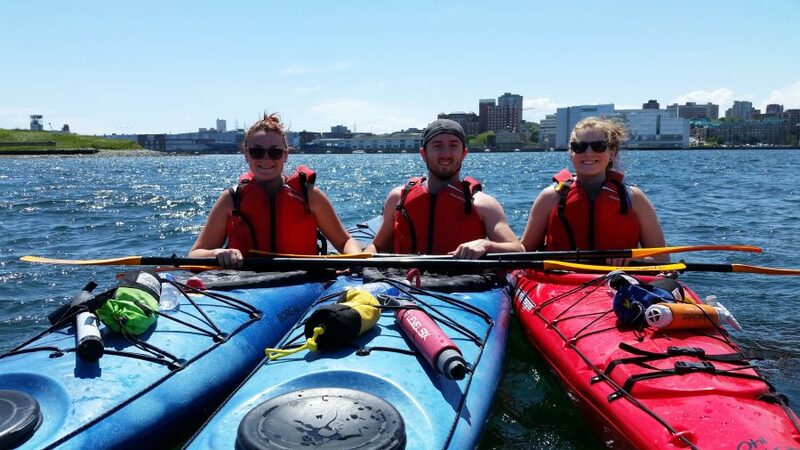 ~ Katelyn M.
"A great day out on the water in the Halifax harbor with our family! 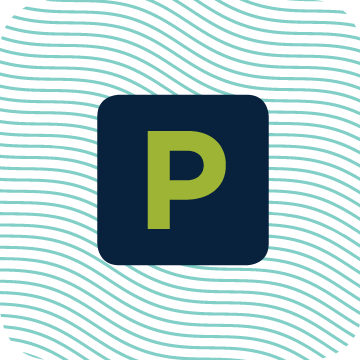 The guides were patient and knowledgeable." 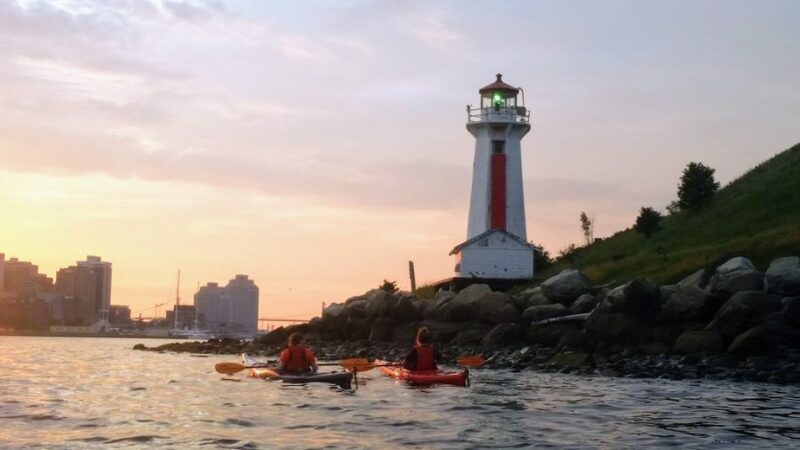 ~ Karen S.
"We had a half day in Halifax, kayaking the harbor seemed like a great way to get a little exercise and see the city from a different perspective - and it 100% was amazing. From the little things (the owner, Ed, fed the meter when we realized we would be out on the water past the point when our parking would expire) to the bigger things (our guide, Kate, was knowledgeable and super friendly) the entire experience was terrific. We even saw a few seals, including one that surfaced about 20 feet from the kayak. 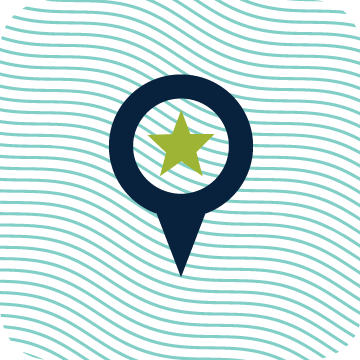 This was a really fun way to experience a new city in a way I'd never really considered." ~ Doug B. "This was a great tour. Our guides, Ana and Kate, were very knowledgeable and informative. We paddled around Georges Island and then farther down the harbor and back. It was a wonderful 2 hours. 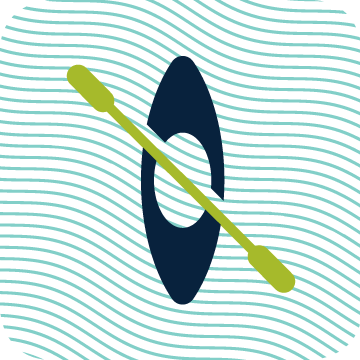 I would highly recommend it, even if you have no kayaking experience." ~ Philip S.
"Capturing one of the most amazing moments of my life! 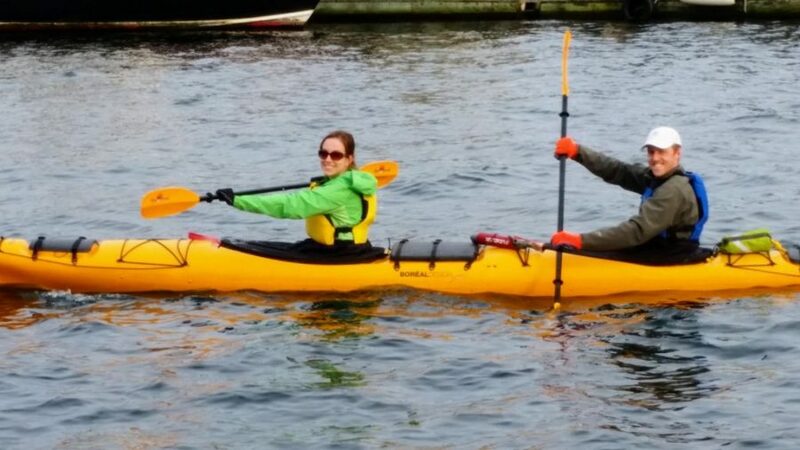 #Kayaking with Kayak Halifax drew a large smile on my face and in my heart! Eric & Anna were beyond friendly and nice. It was my first time in a kayak and they made me feel so safe. Thank you for an unforgettable experience!" ~ Warde B. 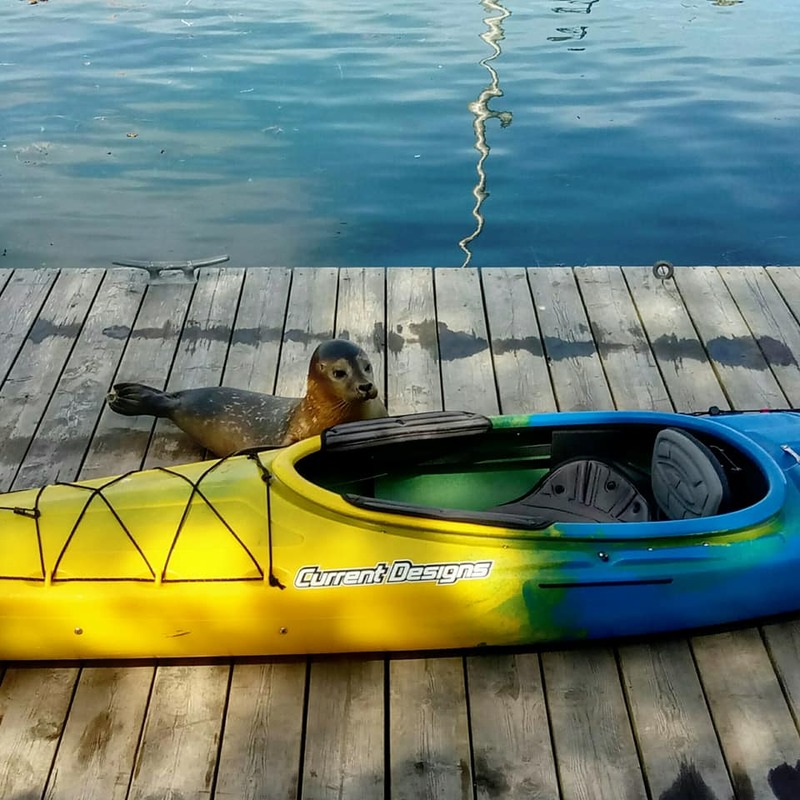 "I've lived here my whole life and never have I experienced the views of Halifax as I did doing the kayak tour. It was amazing and the tour guide was so sweet and it made me fall in love with my city all over again." ~Gracie P.